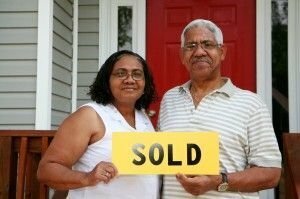 If You Have Considered Selling, We Want to Make You A CASH Offer On Your House! We have helped people in many different situations. A fast sale is beneficial in many ways. From the day you accept our offer, you will know the exact amount you are receiving and on what day. This allows you to plan ahead for your next move. You will not have to clean up. We will buy your home as-is! We will not ask you to make a single repair or upgrade. You do not need to spend money to sell your house. I just wanted to take this opportunity to express my sincere gratitutde and Thanks for the honest effort that you and your company gave during the process of the purchase and sale of my home this year. I was very impressed with how easy and quickly you helped me to sell my property Ben, and just wanted to thank you for going above and beyond throughtout the selling process. You were very helpful and informative and made this experience very comfortable. Thanks again Ben for everything! It’s not for everyone. Some properties simply don’t thrive on the MLS. If it needs repairs or upgrades to be competitive, a direct sale, (as-is) might end up saving you more money in the long run. A home can be listed at any price, and the promise of a high sale is appealing to many sellers. However, just because an agent throws out a number for your home, doesn’t mean you will get it. Many times the price is cut (sometimes repeatedly) and the seller must settle for a price much lower than intended. Add in the commissions, closing costs, repairs, staging, advertising and listing fees, and you can see how a direct sale can end up being the more lucrative choice. You don’t need to blindly spend money, not knowing if or when your house will sell. You can avoid the costs and the stress by getting in touch with us today! There is never any hassle or obligation! We will always give you a fair and honest offer on your home! Fill out this short form to get started!